Which Type of Trust is Best for You? If you’re looking for a way to minimize gift and estate taxes, creating a trust could be a solution. Many types of trusts exist, and each has a specific purpose. The type you choose—as well as how it’s created—will depend on what you’re trying to accomplish. Although establishing a trust requires the services of an experienced attorney, it’s important to understand the basics of each type. A trust is a legal entity that holds assets for the benefit of another. You can put practically any kind of asset into a trust, including cash, stocks, bonds, insurance policies, real estate, and artwork. When you create and fund a trust, you are known as the grantor (or sometimes the settlor or trustor). The grantor names people, known as beneficiaries, who will benefit from the trust. Beneficiaries may receive income from the trust or have access to its principal, either during your lifetime or after you die. The trustee is the person who is responsible for administering the trust, managing the assets, and distributing the income and/or principal in accordance with the terms of the trust. This type of trust is a legal entity that you create while you’re alive. Property and other assets that are titled in the living trust are not subject to probate and the associated costs and delays. Instead, the trustee will transfer the assets to the beneficiaries according to your instructions. Living trusts are attractive because they are revocable. You maintain control—i.e., you can change the trust or even dissolve it for as long as you live. Living trusts are also private. Unlike a will, a living trust is not part of the public record. No one can review details of the trust documents unless you allow it. Living trusts can also be used to help you protect and manage your assets if you become incapacitated. If you can no longer handle your own affairs, your trustee (or a successor trustee) steps in to manage your property. Your trustee has a duty to adhere to the terms of the trust, and must always act with your best interests in mind. Despite these benefits, living trusts have some drawbacks. Assets in a living trust are not protected from creditors and lawsuits, and you are subject to taxes on income earned by the trust. In addition, you cannot avoid estate taxes using a living trust. Although you may have to pay gift taxes on the value of the property at the time of the initial transfer, all property in the trust, as well as its future appreciation, is not included in your taxable estate. Your ultimate estate tax liability may be less, which is advantageous for your beneficiaries. What’s more, property transferred to your beneficiaries through an irrevocable trust will avoid probate, and may even be protected from your creditors. Trusts can also be established by your will. These trusts, called “testamentary trusts,” don’t come into existence until your will is probated. At that point, selected assets passing through your will can “pour over” into the trust. From there, testamentary trusts work very much like other trusts. The terms of the trust document control how the assets within the trust are managed and distributed to your heirs. Since you have a say in how the trust terms are written, testamentary trusts give you a certain amount of control over how the assets are used, even after your death. There are several types of testamentary trusts that can be created after death. There are the Marital (Spousal) and the Family trusts that can provide family member beneficiaries with income for life. Upon the death of these beneficiaries the capital remaining in the trust can be left to other family members or even distributed to a charity of your choice. Your will can also create a trust for a minor child that will support them while they are young and then have the capital disbursed at various times as the child matures. Also along this line of trusts are Special Needs and Spendthrift trusts for family members who have challenges and limitations. The Qualified Terminable Interest Property Trust (QTIP) is one type of a marital trust frequently used for second marriages in which income generated from the trust is given to the surviving spouse. This allows the grantor to provide for the surviving spouse during his or her lifetime while controlling how the trust’s assets are distributed after the surviving spouse dies. Establishing a trust may not always be the answer. There are pros and cons to setting up a trust in general. A trust can be expensive to create and maintain (trustee, legal, accounting, and filing fees) and certain types can limit the control you have over its assets. What’s more, income generated by trust assets and not distributed to beneficiaries may be taxed at a higher income tax rate than your individual tax rate. While many people set up trusts to avoid expensive probate after they die, many states are making the probate process easier. It may be wise for smaller estates to explore other methods for transferring assets and avoiding probate. 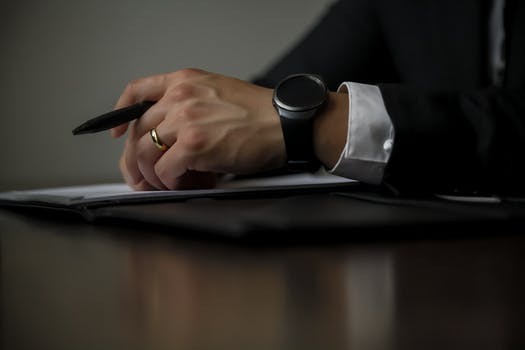 The bottom line: Before you proceed with setting up any trust, be sure to discuss all pros and cons with your attorney, accountant and financial professional.